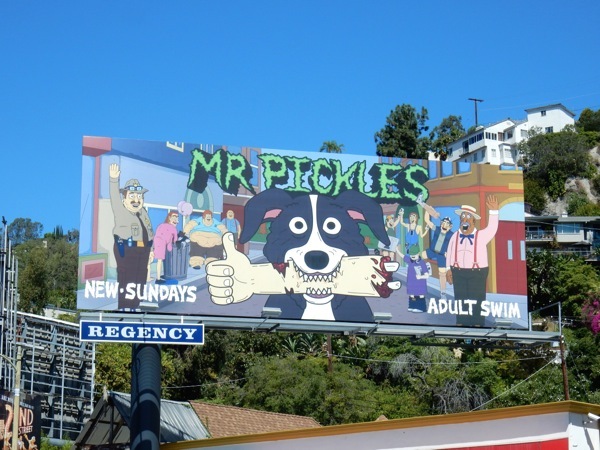 Move over 'Pluto', 'Snoopy' and 'Scooby-Doo', there's a new animated canine in town hoping to take a bite out of the small screen for his second surreal season, Mr. Pickles. 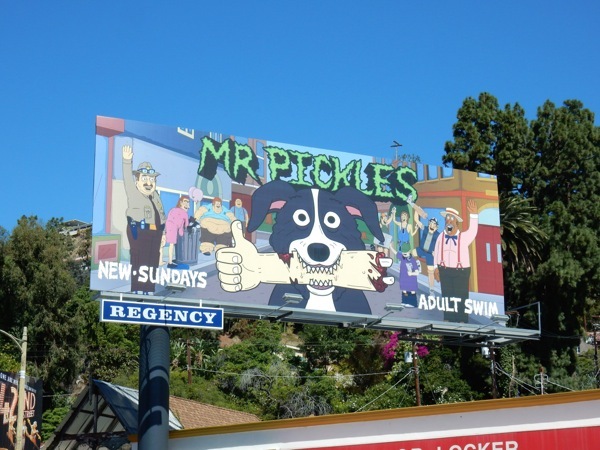 Adult Swim's new top dog is certainly less family-friendly and designed more for mature audiences, if the bloody severed arm in his jaws is any indication in this sophomore season billboard. 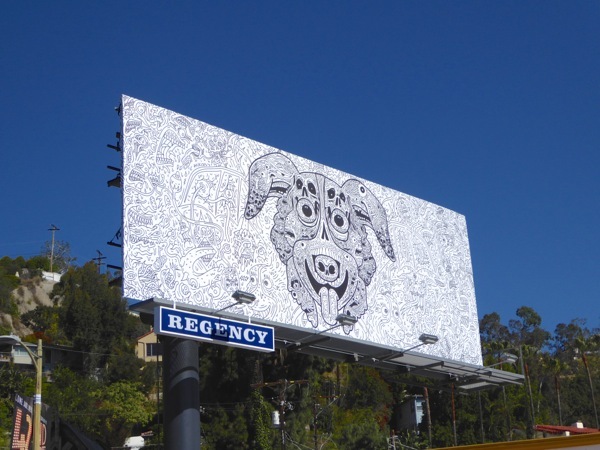 The titular border collie is the lovable and twisted pet of the 'Goodman' family, who has a secret demonic streak, and was created by Will Carsola and Dave Stewart. 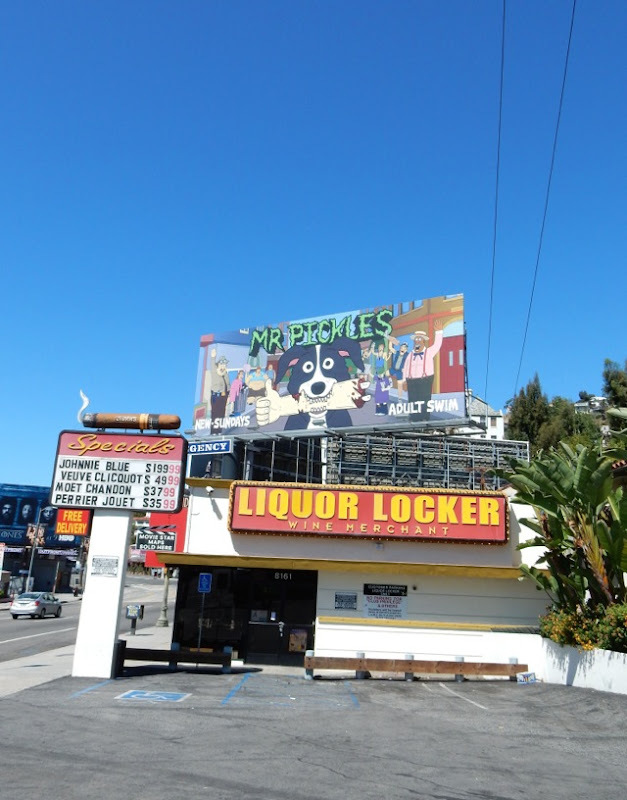 The satanic skull design teaser billboard was first snapped along West Hollywood's Sunset Boulevard on March 31, then later in portrait format along Melrose Avenue on April 16, whilst the billboard giving the thumbs up was photographed in the Sunset Boulevard ad location on April 12, 2016. 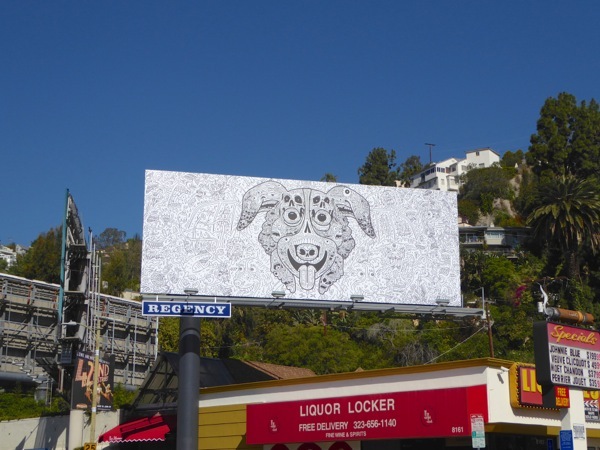 For more crazy Adult Swim ad creatives featuring dogs, be sure to also check out this Eric Andre Show billboard and this billboard for The Jack and Triumph Show. 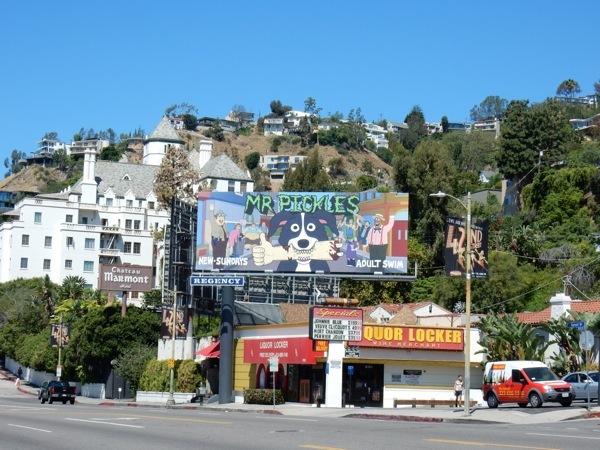 If you like those, you'll probably also get a kick out of these billboards for HBO's Animals animated series. 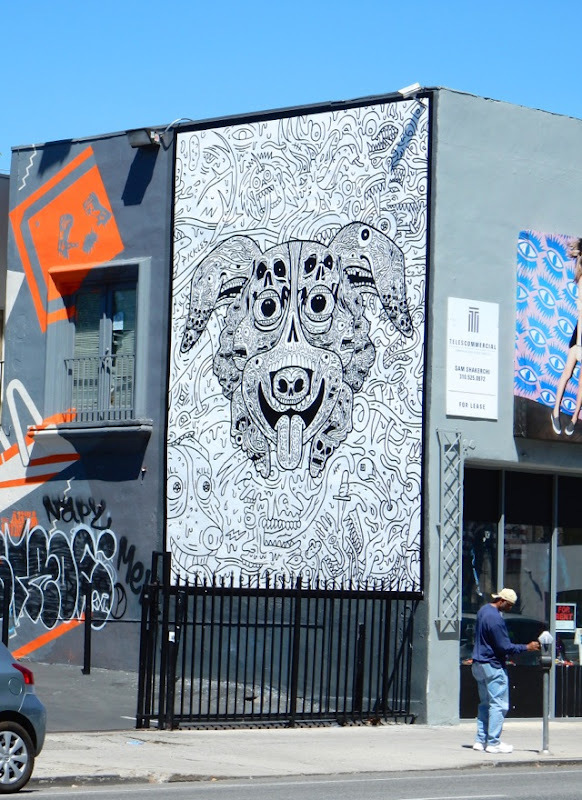 Meanwhile, this is probably one dog you wouldn't want to come running if you whistled for him.